Nigeria's Federal Minister of Power, Housing and Works, Babatunde Fashola, has stated that he is working on a housing model which will be suitable and acceptable to all Nigerians, Nigerian Vanguard reports. “A lot of work is going on and very soon you will see the result of that work. Let me be very clear; we are in a result business but I have learnt that it is results that are sustainable that become enduring," he said. Commenting on the campaign promise by the All Progressives Congress to build 250,000 houses annually, Fashola said his focus was on long-term solution rather than on the number of houses the present administration would build. “Right now, I am not focusing on the number of houses that this administration will build; rather, I’m focusing on a long-term solution that whether this administration is there tomorrow or not, it will be difficult to say you want to change it because it works. In a matter of weeks, we will finish and unveil the design. 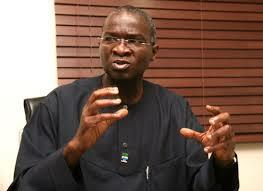 We already have a budget then we can start something to validate our concept; then we will expand next year," he said.